“Seaweed is the original life force,” adds Krapf who believes it should be part of everyone’s diet because of its dense nutritional value. 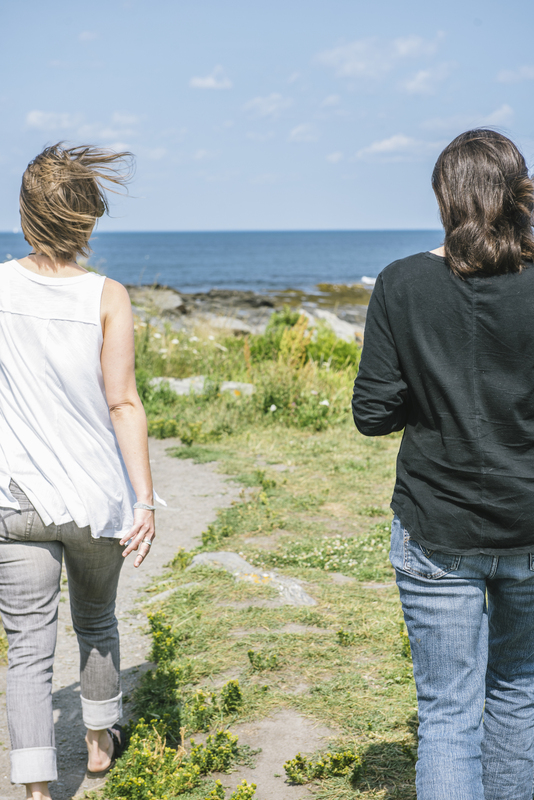 “It really is a vital life source.” Together with their passion for sea plants, Redmond and Krapf are dedicated to changing people’s relationship with seaweed. Their dream is to make it as common as salt and pepper on America’s dinner tables. skin-care products. 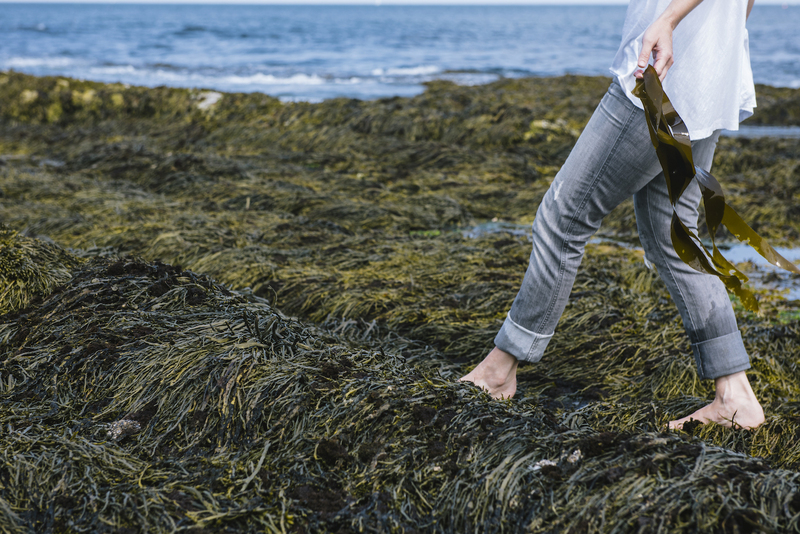 It was not until she traveled to Ireland about five years ago that she realized how mainstream seaweed is in other cultures’ day-to-day life—from their dinner plates to their skincare regimens. When she returned stateside, Krapf knew she had to become an advocate for seaweed. But she was unsure where to start, or if she could be a cheerleader for the ocean’s plant life on her own. A quick Google search connected her with Redmond, who was a marine extension associate for the Maine Sea Grant College Program at the time. Like the moon (that is Krapf) influencing the tide (that is Redmond), the two could not ignore the fact they were destined to work together. “(We) have such a similar upbringing in the woods (of Maine) and the connection to the Maine coast,” says Krapf. “Beyond that, it feels really good when you meet someone with such a similar passion.” Redmond grew up on a homestead and lives in Litchfield. She loved helping her family in the garden and playing in the woods, but she harbored a passion for the sea at a young age. It was well before she learned the word “aquaculture” that Redmond decided to be a seaweed farmer when she grew up. “I didn’t even know if that was a thing at the time,” Redmond says, but she never lost sight of that dream. 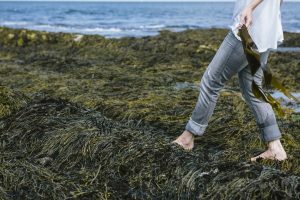 While attending Unity College and University of Maine, she learned that Maine’s seaweed industry was limited to wild harvest, which continues to serve a niche market. However, in Asia, the farming of seaweed has long been a booming market. After earning her bachelor’s degree in aquaculture, Redmond took to working on fishing boats. 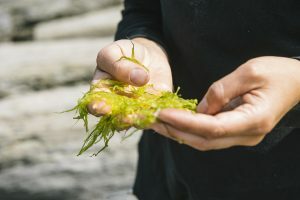 Her interest in seaweed farming persisted, though, and she went on to graduate school, where she developed a seeding process for sugar kelp—the kind of seaweed that resembles giant strips of cooked lasagna noodles that many children find fun to fling around. 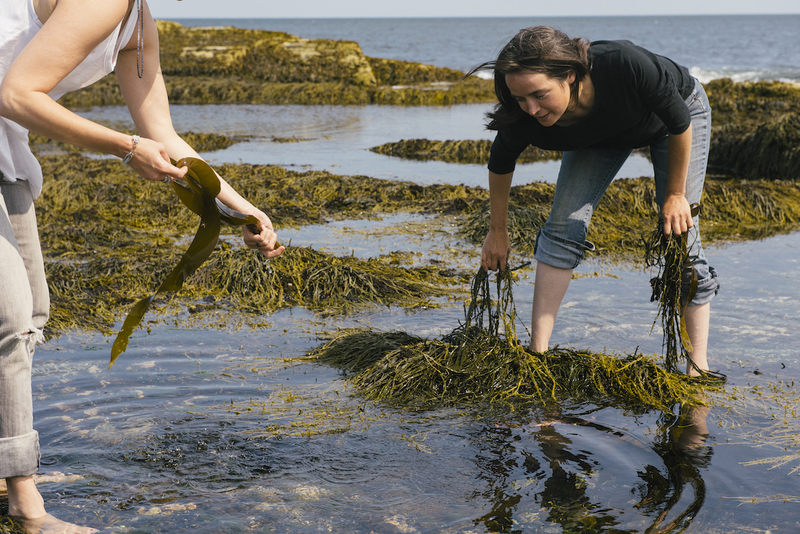 In 2010, while working with Maine Sea Grant, Redmond was the woman behind the first seeds of sugar kelp to be grown, planted and harvested off Maine’s coast. In 2014 and 2015, Krapf and Redmond organized the Maine Seaweed Festival. Hosted on Southern Maine Community College’s campus in South Portland, the festival drew 1,500 curious individuals the first year and more than 3,000 last year. While they felt these two events helped create a buzz, the festival was suspended this year. “People are becoming aware of the (benefits of) seaweed,” says Redmond. A popular fad diet—the macrobiotic diet trend of the 1970s—encouraged adding seaweed to your daily intake. It claimed at the time, and benefits still hold true, that incorporating seaweed into your daily diet can add vitamins, including B6, B12 and C, and nutrients, such as calcium, magnesium and potassium. These nutrients are often lacking in the average American’s consumption, and both Krapf and Redmond have noticed a resurgence of the macrobiotic trend. 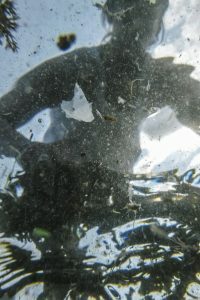 However, both are concerned Maine’s aqua- culture industry is not yet established enough to support a significant demand. 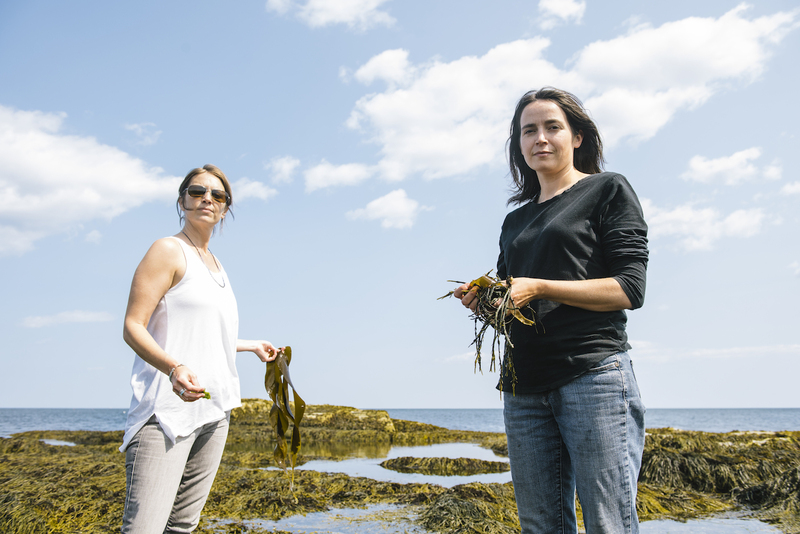 In July, Redmond quit her job with Maine Sea Grant to focus her energy on perfecting the process of seeding the sugar kelp, raising the seed in a nursery, planting it in the ocean and harvesting. She and Krapf are now putting all their effort and resources into Moon and Tide. Their goal is not only to fill out the 35-acre seaweed farm they have in Frenchman Bay in Hancock County, but also to create a viable industry model for other Mainers. They want to be responsible members of Maine’s marine industry while helping others to ride on their success. 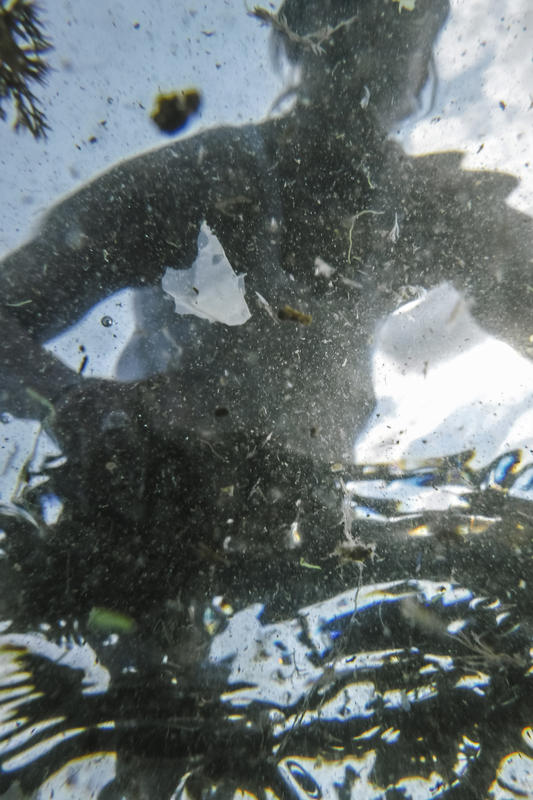 With seaweed farming being a fall-to-spring crop, there is great potential for those reliant on summer catches to diversify and support themselves year-round. Emma Bouthillette is a Biddeford, Maine native currently crafting her forthcoming book, “Biddeford: A Brief History,” with an anticipated release date of May 2017 through Arcadia Publishing. When she is not working or writing, you can likely find her reading a book on Fortunes Rocks Beach.